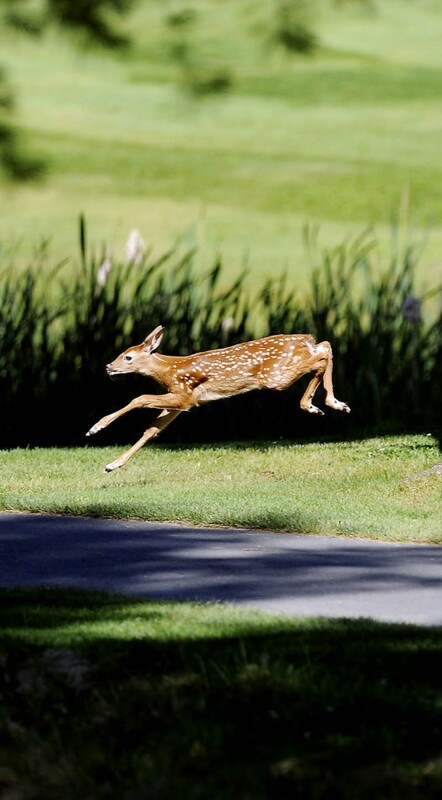 A fawn whitetail deer leaps across a fairway Monday during the first day of the New England Women’s Golf Association Championship at Natanis Golf Course in Vassalboro. Over 70 of the top female amateur golfers in New England are teeing up to determine the top player in play through Wednesday. Play resumed immediately after the yearling deer streaked across the course and disappeared into the woods.